We believe that everyone, regardless of their background or circumstances, deserves high quality, compassionate healthcare. We believe that all healthcare should be respectful and empowering, thorough and kindhearted. We believe the patient is a teacher — teaching us how to be effective physicians for them. We provide free health services ranging from primary care to cardiology, gynecology to podiatry. We also offer mental health care, restorative dentistry, pharmacy, acupuncture, legal and social services in partnership with other groups dedicated to working with underserved communities. Our patients typically have no insurance, limited health literacy, and challenging living situations. We are honored to experience the trust of our patients, and to be able to take away the fear of living without health care. With your help, we will continue to deliver vital, humanistic health care, while inspiring the next generation of health professionals. For more than 20 years we have served some of the most socially and medically disadvantaged individuals in the region, thanks to the clinic project founded by Dr. Ellen Beck, outstanding community partners, and passionate medical students. More than 2,000 people who have nowhere else to turn are treated each year at our five clinic sites. Our patients have chronic illnesses, including diabetes, high blood pressure, high cholesterol, asthma, and depression, conditions which, without treatment, can lead to disability or death. 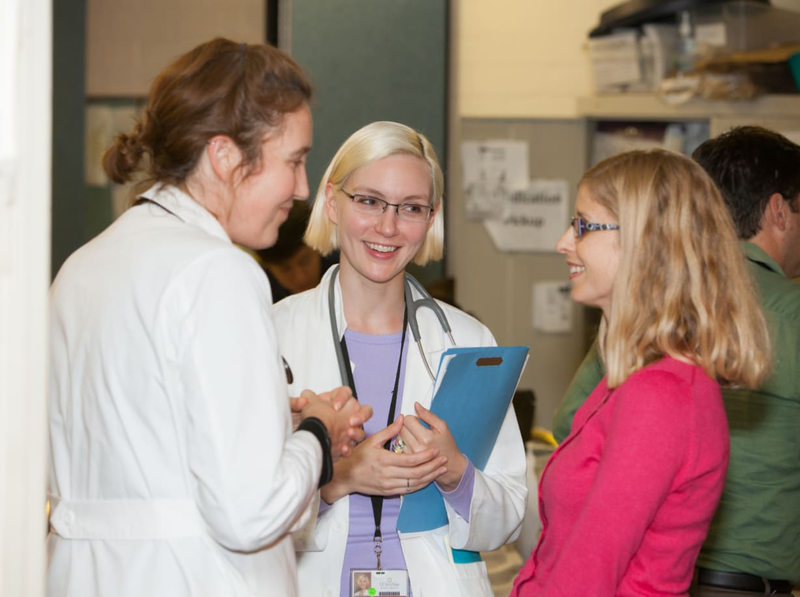 We are the UC San Diego Student-Run Free Clinic – a model collaboration reproduced around the nation and the world. With your help, we will continue to provide the best care we can to the most vulnerable. Become part of the Free Clinic Community. Give $50 and get a hand-written thank you note from Dr. Beck and two student health professionals who work at the free clinic. Give $100 to our free clinic and get a video from Dr. Beck and two student health professionals thanking you for your support! Give $500 and get a tour of our free clinic! See firsthand how we are making a difference in the community. Give $1,000 to our free clinic and get the opportunity to sit down for lunch with the Free Clinic's team of doctors.